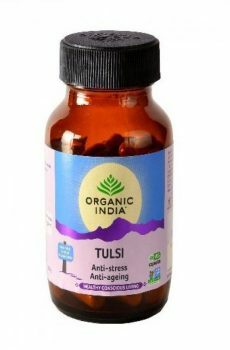 Created by Physicians and Ayurvedic experts, ORGANIC INDIA Stress Less Kit is designed to provide comprehensive support for many key areas of health and wellness. 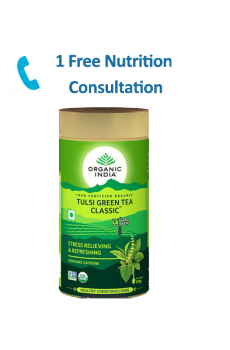 It is delivered through a protocol of herbal supplements and infusions. 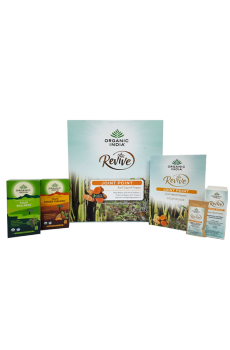 When taken regularly and combined with lifestyle suggestions, help support you to effectively relieve stress and release anxiety so that you can relax, rebalance, and build vitality. I never tried something like this before and I was excited to see the packaging at first. It’s made so convineint for us that I just have to take a pouch each for morning & evening which has all contents for the day and I am sorted. I am also feeling relieved of stress which was not letting me sleep peacefully. 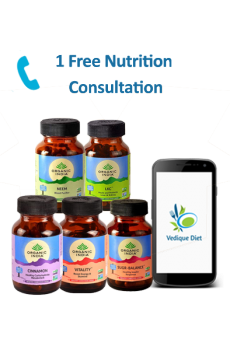 I am just loving this product and the consultations with the Doctor were also helpful. Thank you Nutrihealth. Now I am taking good 8 hours sleep and my memory has improved after taking this product. very well organised kit. 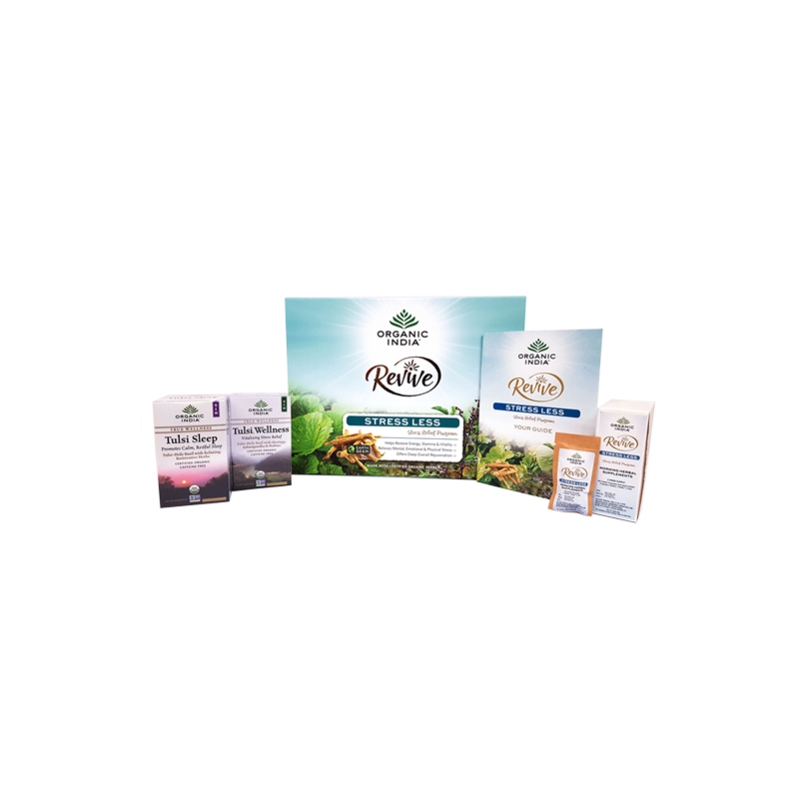 The natural herbs in the kit actually calms and reduces the stress levels! !